Apprehensive Films Blog, The Ultimate Cult, Horror, Indie and Grindhouse Label: And The Blood Drains Down, New Short Horror Film Coming From Apprehensive Films! And The Blood Drains Down, New Short Horror Film Coming From Apprehensive Films! 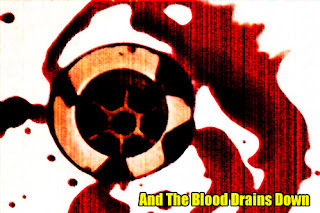 Apprehensive Films will soon be raising production funds for a new short horror film entitled "And The Blood Drains Down." This short will be directed by Jonathan Morken and will be shot on 16mm film in the Northern California area. The premise of the film concerns judgement day and Satan's wrath on all mankind. Tagline: "The Devil's Reign is Upon Us!" Look for an Indiegogo fundraising campaign coming soon, with tons of exclusive rewards!